The Best Planet blogs from thousands of top Planet blogs in our index using search and social metrics. Data will be refreshed once a week. Planet newsletter is a comprehensive summary of the day's most important blog posts and news articles from the best Planet websites on the web, and delivered to your email inbox each morning. To subscribe, simply provide us with your email address. Pasadena, CA About Blog The Planetary Society is the largest and most effective nonprofit organization that promotes the exploration of space through education, advocacy, and innovative projects. Its mission is to empower the world's citizens to advance space science and exploration. Facebook fans 850,339. Twitter followers 182,186. Warwick, RI About Blog The latest news, photos, and videos of real exploration of our amazing solar system and universe. Facebook fans 12,582. Twitter followers 22,821. Facebook fans 4,329. Twitter followers n/a. US About Blog Universe documentary 2015 - series that features computer-generated imagery and computer graphics of astronomical objects in the universe plus interviews with experts who study in the fields of cosmology, astronomy, and astrophysics. About Blog Sky & Tel covers the latest night-sky events, astronomy news, astrophotography and observing tips.Keep up with the latest on exoplanets - from hot Jupiters to super-Earths and Earth-like planets, the hunt for the next pale blue dot continues. Facebook fans 31. Twitter followers 102,238. About Blog The Red Planet Report scans the published scientific literature on Mars and gives you short summaries of the most interesting results, written so you can understand what they mean. If you’re interested in Mars research, but don’t have the time to plow through journals and papers to find new results, we’ll do it for you. About Blog Exploring the Solar System and beyond. Astrobiology Magazine is NASA daily publication that reports the latest discoveries about origin and evolution of life in our solar system, universe, and beyond. Facebook fans 16,930. Twitter followers 9,495. Edinburgh About Blog Provides science advice to authors (well the PhD's gotta be good for something), writes about space exploration, and makes a mean omlette. Facebook fans n/a. Twitter followers 3,067. About Blog Solar System Planets. Astronomy articles on the eight planets, plus the two dwarf planets, Pluto and Eris. Great pictures of everything in the solar system. Updated daily. Facebook fans 128. Twitter followers 224,937. About Blog Articles and commentary about the planet Mars. Facebook fans 1,149,896. Twitter followers 510,922. Amsterdam, London, New York About Blog Elsevier is an information and analytics company and one of the world's major providers of scientific, technical, and medical information. Facebook fans 260,057. Twitter followers 50,579. Facebook fans 10,197. Twitter followers 925. About Blog This is the blog for the online citizen science project Planet Hunters . We're asking for your help looking for planets around other stars. Facebook fans 29,021. Twitter followers 18,955.
http://crev.info About Blog Your Daily Source For News On Origins Examining the world around us in light of the all-encompassing truths of the Word of God. Facebook fans n/a. Twitter followers 913. About Blog TPS is an idea and project of coordinated cooperation between all who care about the planetary development. The model of thought and action is that of the solar and cosmic System, reflected in Nature, as a source of inspiration and order for all fields of human activity. Facebook fans 9,830. Twitter followers 31. About Blog Postings pertaining to Earth and Space Sciences including current celestial events, exploration, and education. About Blog I have followed planetary exploration since I opened my newspaper in 1976 and saw the first photo from the surface of Mars. The challenges of conceiving and designing planetary missions has always fascinated me. About Blog Mars Alive is a dedicated to finding Life on Mars! This blog covers topics such as NASA, Life on mars, Curiosity Rover, Mars Anomaly, UFO and more. Facebook fans 1,261. Twitter followers 47. About Blog The Science Mission Directorate (SMD) engages the Nations science community, sponsors scientific research, and develops and deploys satellites and probes in collaboration with NASAs partners around the world to answer fundamental questions requiring the view from and into space. Facebook fans n/a. Twitter followers 11,883. UK About Blog How big is the Solar System? What actually orbits our Sun? Why should I even be interested in space? On this channel, we'll answer these and a whole host of other questions. We will have a series dedicated to each of our planets and showcase beautiful images and videos captured by probes and spacecraft of our amazing Solar System. Join us on this journey of discovery! Facebook fans 401. Twitter followers n/a. United States About Blog Visit our solar system's planets. Search for life on mysterious moons. Travel through the Milky Way and Beyond! Leicester, England About Blog A blog about exploring the alien weather and climate on planets beyond Earth, including a random collection of ideas and ramblings from a University of Leicester planetary scientist. All scribbles are my own! Facebook fans n/a. Twitter followers 2,171. Toronto, Ontario, Canada About Blog We are developing Tools and Techniques to understand today's planetary science results and to enable the next generation of robotic solar system exploration. 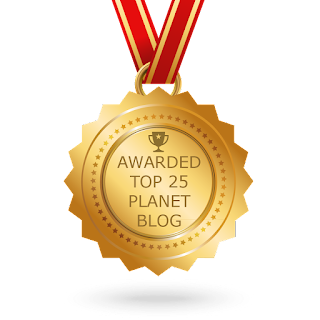 CONGRATULATIONS to every blogger that has made this Top Planet Blogs list! This is the most comprehensive list of best Planet blogs on the internet and I’m honoured to have you as part of this! I personally give you a high-five and want to thank you for your contribution to this world.